In the U.S., there are numerous ongoing efforts to remedy the word gap: massive differences in heard vocabulary for poor versus advantaged children during the first 5 years of life. 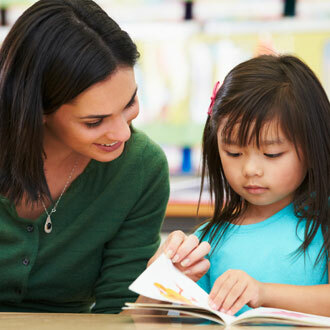 One potentially important resource for vocabulary exposure is children's book reading sessions, which are more lexically diverse than standard caregiver-child conversations and have demonstrated significant correlational and causal influences on children's vocabulary development. Yet, nationally representative data suggest that around 25% of caregivers never read with their children. This study uses data from 60 commonly read children's books to estimate the number of words that children are exposed to during book reading sessions. Results showed that parents who read 1 picture book with their children every day provide their children with exposure to an estimated 78,000 words each a year. Cumulatively, over the 5 years before kindergarten entry, researchers estimate that children from literacy-rich homes hear a cumulative 1.4 million more words during storybook reading than children who are never read to. These results suggest that home-based shared book reading represents an important resource for closing the word gap. This study looked at the impacts on social-emotional development at school entry of a pediatric primary care intervention called the Video Interaction Project (VIP), promoting positive parenting through reading aloud and play, delivered in two phases: infant through toddler (VIP 0-3) and preschool-age (VIP 3-5). VIP 0-3 resulted in sustained impacts on behavior problems 1.5 years after program completion. VIP 3-5 had additional, independent impacts. The children whose families had participated in the intervention when they were younger were still less likely to manifest those behavior problems — aggression, hyperactivity, difficulty with attention. These results support the use of pediatric primary care to promote reading aloud and play from birth to 5 years, and the potential for such programs to enhance social-emotional development. Students who participated in an intensive childhood education program from preschool to third grade were more likely to achieve an academic degree beyond high school, compared to a similar group that received other intervention services as children, with greater benefits for those whose mothers were high school dropouts. 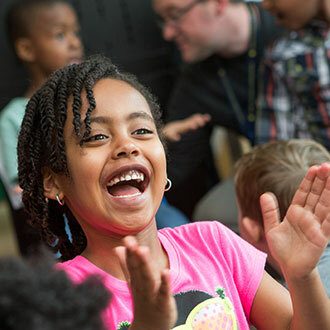 Researchers at the University of Minnesota, Minneapolis, followed the 30-year progress of 989 children who attended the Child-Parent Centers (CPC) program in inner-city Chicago as preschoolers. The CPC program provides intensive instruction in reading and math, combined with frequent educational field trips, from pre-kindergarten through third grade. The program also provides parents with job and parenting skills training, educational classes and social services. In addition, the program encouraged parents to volunteer in classrooms, assist with field trips and participate in parenting support groups. This study found that young 4-, 5- and 6-year-olds who engaged in more conversation at home had more brain activity and verbal aptitude while they were listening to a story and processing language. The hypothesis is that back-and-forth conversation may rewire the brain and cause it to grow — a hypothesis that will be tested in a future study. In the study, the benefits of conversation were just as strong for low-income children as they were for high-income children. Children who experienced high amounts of conversation scored 12 percent higher on standardized language assessments. Bierman, K., Morris P., and Abenavoli R. Parent Engagement Practices Improve Outcomes for Preschool Children (February 2017). Princeton, NJ: Robert Wood Johnson Foundation. Children begin learning at home before they ever reach the classroom, but many families face barriers to providing high-quality early educational opportunities. This study outlines a number of research-based strategies to bolster parent engagement in ways that improve child outcomes. Two key findings: (2) Promoting home learning activities and effective teaching strategies can foster early learning and improve school readiness; and (2) Strengthening parent-teacher partnerships can boost academic and social-emotional skill development and promote academic success. Educare is a birth to age 5 early education program designed to reduce the achievement gap between children from low-income families and their more economically advantaged peers through high-quality center-based programming and strong school–family partnerships. This study randomly assigned 239 children (< 19 months) from low-income families to Educare or a business-as-usual control group. Assessments tracked children 1 year after randomization. Results revealed significant differences favoring treatment group children on auditory and expressive language skills, parent-reported problem behaviors, and positive parent–child interactions. Effect sizes were in the modest to medium range. No effects were evident for observer-rated child behaviors or parent-rated social competence. The overall results add to the evidence that intervening early can set low-income children on more positive developmental courses. Researchers from New York University studied more than 2,200 families enrolled in the Early Head Start Research Evaluation Project. They followed children from birth through 5th grade to determine the impact of early home-learning environments on later academic success. All of the children in the study came from low-income, ethnically diverse families. The researchers found that children whose parents engaged them in meaningful conversations and provided them with books and toys designed to increase learning were much more likely to develop early cognitive skills that led to later academic success. Children with a father in the home, adult parents versus teenage parents, and more-educated parents tended to have better environments for early learning.These findings were true across all ethnic/racial groups studied. Emma García and Elain Weiss. Education inequalities at the school starting gate: Gaps, trends, and strategies to address them. September 2017. Washington, D.C.: Economic Policy Institute. Extensive research has conclusively demonstrated that children’s social class is one of the most significant predictors — if not the single most significant predictor — of their educational success. Moreover, it is increasingly apparent that performance gaps by social class take root in the earliest years of children’s lives and fail to narrow in the years that follow. That is, children who start behind stay behind — they are rarely able to make up the lost ground. The positive news is that the gaps have not grown, even as economic inequalities between these two groups of students have grown. The negative news is that the gaps have not narrowed, despite the fact that low-SES parents have substantially increased their engagement in their children’s early education. Cook, S. (July 2016) Integrating Technology in Early Literacy: A Snapshot of Community Innovation in Family Engagement. Washington, D.C.: New America. As a growing number of young children across the country are using media and interactive technology on a daily basis, the conversation has shifted from whether technology is appropriate to use at all to how it should be used to best support children’s early language and literacy development. This brief analyzes the impact of early learning and family engagement programs around the country. The Integrating Technology in Early Literacy (InTEL) map, available through New America’s Atlas tool, has been updated to show where innovative programs are located, how the programs are designed, and what “evidence of impact” they are able to share. This study found that low-income kindergarten students have reversed the trend of growing academic achievement gaps between them and their higher-income peers. Academic achievement gaps grew from the 1970s to the 1990s, but from 1998 to 2010 the gaps shrank 10-16%. During this time frame, the White-Hispanic kindergarten readiness gap and the White-Black gap each dropped. Researchers attributed the improved preparedness, in part, to low-income parents spending significantly more time reading to their children, taking them to museums, and introducing them to educational games on computers. Despite the narrowing of these readiness gaps, they remain large and, in fact, progress is so slow that at the rate that improvements are occurring, it will take at least 60 years for disparities to be eliminated. U.S. Department of Education, Office of Planning, Evaluation and Policy Development, Policy and Program Studies Service, Case Studies of Schools Implementing Early Elementary Strategies: Preschool Through Third Grade Alignment and Differentiated Instruction, Washington, DC, 2016. 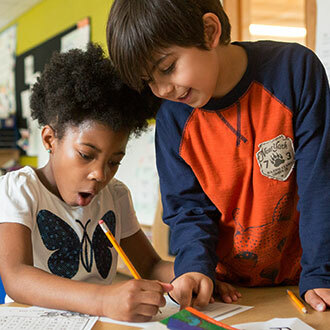 To explore how educators might build on and sustain the positive effects of preschool, this study examined two types of strategies that preliminary literature searches revealed as promising practices to support children’s learning in early elementary school: (1) aligning instruction from preschool through grade 3 (referred to as P–3 alignment) and (2) differentiated instruction. To explore how educators use these two strategies, this study conducted a systematic literature review followed by case studies of five programs that used one or both of these two strategies. Key findings: (1) All five case study programs aligned instruction across grades by aligning or coordinating standards, curricula, instructional practices, and professional development; three sites also used aligned assessments. (2) Common elements of P–3 programs included the use of professional learning communities, coaches, parent engagement, and play-based or student-initiated learning. (3) Teachers in all five programs reported using strategies to accommodate students’ different skill levels, including modifying assignments, adapting learning materials, providing different levels of support, or using small-group instruction. (4) All five programs focused on increasing students’ vocabulary, oral language, and social-emotional skills. Baker, C. E., Vernon-Feagans, L., & the Family Life Project Investigators. (2015) Fathers' language input during shared book activities: Links to children's kindergarten achievement. Journal of Applied Developmental Psychology, 36, 53-59. How much fathers talk to young children has a direct positive effect on their kindergarten performance. This study used data from the Family Life Project to examine predictive relations between fathers' and mothers' language input during a wordless picture book task in the home just before kindergarten entry and children's letter &mdash; word identification, picture vocabulary, and applied problems scores at the end of kindergarten. Analysis revealed that mothers' talk ("mean length of utterance") predicted children's applied problems scores. More importantly, fathers' mean length of utterance predicted children's vocabulary and applied problems scores above and beyond mothers' language. Findings highlight the unique contribution of fathers to children's early academic achievement. Implications for future research, practice, and policy are discussed. Fuller, B., Bein, E., Kim, Y., and Rabe-Hesketh, S. (2015) Differing Cognitive Trajectories of Mexican American Toddlers: The Role of Class, Nativity, and Maternal Practices, Hispanic Journal of Behavioral Sciences 20 February 2015. Ross, T. (May 2015). The Case for a Two-Generation Approach for Educating English Language Learners. Washington, D.C.: The Center for American Progress. This report provides an overview of the ELL population in the United States; explains why a two-generation approach is a valuable strategy to improve English proficiency and the economic well-being of families and communities; and presents case studies of promising approaches for educating ELL students and parents while providing critical wraparound services to enhance the learning process. This study examined literacy practices in the homes of 127 low-income Latino preschoolers enrolled in bilingual preschool classrooms. Researchers investigated the print-related practices that Latino primary caregivers engaged in with their preschool-aged children at the start of the school year and explored the relation between these practices and children’s language, literacy, and social–emotional school-readiness outcomes at the end of the preschool year. The results demonstrate the importance of print – including books and non-book-related environmental print – for Latino preschool children’s development of early literacy and self-regulation skills. In addition, the results highlight that when sharing picture books with their children, low-income Latino caregivers provided the majority of the information to their children, and ask few questions of them, thereby adopting a sole-narrator participatory role. Sosa A. V. Association of the Type of Toy Used During Play With the Quantity and Quality of Parent-Infant Communication. JAMA Pediatr. Published online December 23, 2015. doi:10.1001/jamapediatrics.2015.3753. Researchers gave families three different kinds of toys to play with: books, traditional toys like stacking blocks and a shape sorter, and electronic toys. Results indicated that play with electronic toys is associated with decreased quantity and quality of language input compared with play with books or traditional toys. To promote early language development, play with electronic toys should be discouraged. Traditional toys may be a valuable alternative for parent-infant play time if book reading is not a preferred activity. Blocks and puzzles stimulated more conversation than the electronic toys, and books outscored them all. This comprehensive analysis of parents' experiences with the educational media their children use tries to answer the following questions: Which subjects do parents feel their children are learning the most about from media? Which platforms do they perceive as being most effective? And what are some of the obstacles to greater use of educational media? All of these issues are explored by age, gender, race/ethnicity, and socioeconomic status. The report measures the degree to which children and parents use media together, overall and by platform, and looks at how this joint media engagement changes as children get older. The study also examines children's reading behaviors, especially online or on electronic reading devices. This report looks at research showing that parent involvement in their children's school is associated with a range of positive outcomes for students, including greater academic success, improved attitudes toward school, and a reduction in at-risk behavior. The research also shows that parent involvement leads to more teacher satisfaction. Shannon Moodie, Manica Ramos (2014) Culture Counts: Engaging Black and Latino Parents of Young Children in Family Support Programs. Child Trends: Bethesda, MD. This report provides an overview of family support programs and aims to identify the features and strategies that may be most effective for reaching and engaging black and Latino families, with the ultimate goal of supporting young children’s development. The report presents a synthesis of available research on parent engagement — as well as potential barriers to their engagement — in family support services and programs, and recommendations, for both policymakers and practitioners, for designing, adapting, and evaluating culturally-relevant family support programs and services. Reynolds AJ, Richardson BA, Hayakawa M, et al. Association of a Full-Day vs Part-Day Preschool Intervention With School Readiness, Attendance, and Parent Involvement. Journal of the American Medical Association 2014; 312 (20): 2126-2134. In an expansion of the Child-Parent Center Education Program (CPC) in Chicago, a full-day preschool intervention was associated with increased school readiness skills CPC is a school-based public program with strong evidence of benefits. Implemented in the Chicago Public Schools since 1967, the program provides comprehensive education and family services beginning in preschool. Cohort studies have found that participation has helped eliminate the achievement gap in school readiness and performance; reduced rates of child maltreatment, remedial education, and crime; and increased rates of high school graduation and economic well-being. Benefits exceed costs by a ratio of 7 to 1. A scale-up of the CPC program began in 2012 in more diverse communities. The model was revised to incorporate advances in teaching practices and family services and included the opening of full-day preschool classrooms in some sites. Benjamin N. York and Susanna Loeb (November 2014). One Step at a Time: The Effects of an Early Literacy Text Messaging Program for Parents of Preschoolers. Cambridge, MA: National Bureau of Economic Research, Working Paper 20659. In this study, researchers evaluated the effects of READY4K!, a text messaging program for parents of preschoolers designed to help them support their children’s literacy development. The program targets the behavioral barriers to good parenting by breaking down the complexity of parenting into small steps that are easy-to-achieve and providing continuous support for an entire school year. Results showed that READY4K! positively affected the extent to which parents engaged in home literacy activities with their children. Increases in parental activity at home and school translated into student learning gains in some areas of early literacy. The widespread use, low cost, and ease of scalability of text messaging make texting an attractive approach to supporting parenting practices. Weisleder, A. & Fernald, A. (2013). Talking to children matters: Early language experience strengthens processing and builds vocabulary. Psychological Science, November 2013 24: 2143-2152. In this study, researchers explored how the amount of speech directed to infants in Spanish-speaking families low in socioeconomic status influenced the development of children’s skill in real-time language processing and vocabulary learning. Results showed that children who had experienced more child-directed speech were more efficient at processing language. The analyses revealed a cascade of effects — those toddlers who heard more child-directed talk became faster and more reliable in interpreting speech, and it was their superior skill in processing language that then increased their success in vocabulary learning. An important finding was that even within a low-SES group there were substantial differences among parents in verbal engagement with their children and in children's language outcomes. Reynolds, A. J., Temple, J. A., White, B. A. B., Ou, S.-R. and Robertson, D. L. (2011), Age 26 Cost–Benefit Analysis of the Child-Parent Center Early Education Program. Child Development, 82: 379–404. Using data collected up to age 26 in the Chicago Longitudinal Study, this cost–benefit analysis of the Child-Parent Centers (CPC) is the first for a sustained publicly funded early intervention. The program provides services for low-income families beginning at age 3 in 20 school sites. Kindergarten and school-age services are provided up to age 9 (third grade). Findings from a complete cohort of over 1,400 program and comparison group participants indicated that the CPCs had economic benefits in 2007 dollars that exceeded costs. The preschool program provided a total return to society of $10.83 per dollar invested (18% annual return). The primary sources of benefits were increased earnings and tax revenues and averted criminal justice system costs. The school-age program had a societal return of $3.97 per dollar invested (10% annual return). Findings provide strong evidence that sustained programs can contribute to well-being for individuals and society. Golden, O. (2011). Head start and the changing demographics of young children. NHSA Dialog, 14(1). Head Start and Early Head Start programs have always understood that high-quality services are grounded in a thorough understanding of the children and families in their communities. And the portrait of our nation's children is changing rapidly. Results from the 2010 Census show a dramatic change in the racial and ethnic composition of children, particularly increases in Hispanic and Asian children and declines in white children (and a slight decline nationally in the number of black children). Other recent national surveys show a sharp increase in the proportion of children, and young children in particular, whose parents are immigrants. Based on these trends and recent Urban Institute research, this paper makes four recommendations about how local Head Start practitioners can best meet the needs of today's young children and their families. Rodriguez, Eileen; Tamis-LeMonda, Catherine S. (2011) Trajectories of the Home Learning Environment Across the First 5 Years: Associations With Children's Vocabulary and Literacy Skills at Prekindergarten. Child Development 82(4). A study that looked at the home environments of more than 1,850 children from households at or below the federal poverty line showed that factors such as levels of shared reading, exposure to frequent and varied adult speech, and access to children's books had an impact on school readiness skills. "As a parent, it is never too early to engage your child in learning," said Amber Story, a social psychologist and deputy director of the National Science Foundation's Division of Behavioral and Cognitive Sciences, which funded the study. "This research suggests that the degree to which parents read and talk to their infant; point and label objects in the environment; and provide engaging books and toys when their child is only 15 months old can have long-lasting effects on the infant's language skills years later." Dearing, E., Kreider, H., Simpkins, S., and Weiss, H. (January 2007). Family involvement in school and low-income children's literacy performance (Family Involvement Research Digest). Cambridge, MA: Harvard Family Research Project. A groundbreaking study links increases in family involvement to increases in children's achievement. National Middle School Association, (2006). Parent involvement. See current research on parent involvement and student achievement outcomes. Jeynes, W. H. (2005). Parental involvement and student achievement: A meta-analysis (Family Involvement Research Digest). Cambridge, MA: Harvard Family Research Project. A meta-analysis of 77 parent involvement research studies. Caspe, M. (2003). Family literacy: A review of programs and critical perspectives (Family Involvement Research Digest). Cambridge, MA: Harvard Family Research Project. For over 20 years educational policies have promoted family literacy programs in schools and community-based organizations. In this research review, the authors define family literacy; describe critical perspectives on family literacy programs; draw out the guiding program principles they suggest; and illustrate how these principles are implemented in three different programs. Henderson, A. T. and Mapp, K. L. (2002). 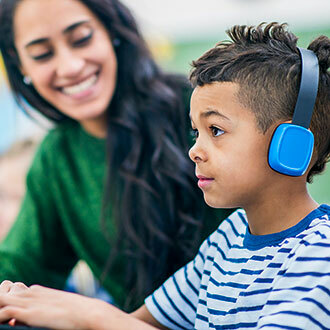 A new wave of evidence: The impact of school, family, and community connections on student achievement. National Center for Family and Community Connections with Schools, Southwest Educational Development Laboratory. This research synthesis examines key issues in the field of family and community connections with schools. It is a synthesis of 51 studies about the impact of family and community involvement on student achievement, and effective strategies to connect schools, families and community. Michigan Department of Education (2002). What research says about parent involvement in children's education. This fact sheet highlights the relationship between parent involvement and academic achievement and references Joyce L. Epstein's six types of parent involvement. Taylor, B.M., Pearson, P.D., Clark, K.M., & Walpole, S. (2000). Effective schools and accomplished teachers: Lessons about primary-grade reading instruction in low-income schools. The Elementary School Journal, 101, 121-165. This study investigated school and classroom factors related to primary-grade reading achievement in schools with moderate to high numbers of students on subsidized lunch. Fourteen schools across the U.S. and two teachers in each of grades K-3 participated. A combination of school and teacher factors, many of which were intertwined, was found to be important in the most effective schools. Statistically significant school factors included strong links to parents, systematic assessment of pupil progress, and strong building communication and collaboration. 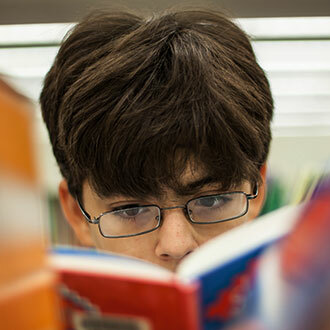 A collaborative model for the delivery of reading instruction, including early reading interventions, was a hallmark of the most effective schools. Statistically significant teacher factors included time spent in small-group instruction, time spent in independent reading, high levels of student on-task behavior, and strong home communication. 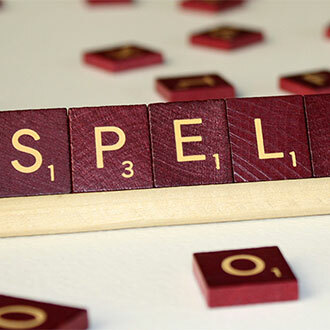 More of the most accomplished teachers and teachers in the most effective schools supplemented explicit phonics instruction with coaching in which they taught students strategies for applying phonics to their everyday reading. Additionally, more of the most accomplished teachers and teachers in the most effective schools employed higher-level questions in discussions of text, and the most accomplished teachers were more likely to ask students to write in response to reading. In all of the most effective schools, reading was clearly a priority at both the school and classroom levels. Takeuchi, L. M. Families matter: Designing media for a digital age. New York: The Joan Ganz Cooney Center at Sesame Workshop. A new report from the Joan Ganz Cooney Center, focuses on two complementary studies that document how families with young children are integrating digital media into the rhythm of daily life. Results from a survey of more than 800 parents of children ages 3 through 10 reveal how parents nationwide feel about raising children in a digital age. In-depth case studies provide further insight into these statistics, probing how parent attitudes toward technology, along with family values, routines, and structures, are shaping young children's experiences using digital media.